I’ve had an Ibiza post in my head for weeks (make that months) but now that I’m finally at my desk all I want to do is shout about Bristol; sometimes you really don’t need to travel to have the most glorious weekend. The rugby (Lions v All Blacks – get with it), was all too much on Saturday morning. Pete said that I sounded as if I was being murdered, it felt pretty excruciating too, so I slipped into my new “skins”, (purchased in a moment of extreme angst over an expanding mid-life waistline), to get a bit of exercise. I have to do this more often, I should quickly add that I don’t run (clicky knees), just do that “power walking” thing that I’ve always thought looked so ridiculous. Any way, an hour and a half later, after taking in the Suspension Bridge, The Downs and lying on the ground looking at the leaf canopy (before being rudely awakened from my reverie by a slobbering labrador), I felt like a new woman. If you’re not acquainted with Bristol, Clifton’s a very beautiful neighbourhood built on the steep hills alongside the Avon Gorge. We’re lucky to live in a skinny mews house, that served the very grand Georgian Royal York Crescent behind; you can still see the carriage tracks in our flagstone floor, our kitchen’s a converted stable and we have a postage stamp of a garden behind. This weekend was Clifton Fest’; I have to confess that I’d managed to miss any of the build up/advertising which made it even more of a fabulous surprise. Music and food out on the streets, a great vibe helped along by the sunshine; it’s hopefully to become an annual fixture, in fact one of the excited organisers announced that he was working on the idea of a week-long festival next year with a “Rio de Janeiro style finale” – nothing like aiming high! May have to work on the midriff a little harder before I slip into one of those obligatory Brazilian, barely -there, sequinned numbers. Sunday evening rounded off a glorious weekend with a really relaxed BBQ, just around the corner in our friends’ garden, that tumbles down the side of the gorge in a series of lush terraces. We all took a few bits, gathered lots of salad leaves from their vegetable patch, pulled some dishes together in the kitchen and soaked up the balmy evening. I’ll leave it to the pictures – they say it all. It’s not often that I feel like eating watermelon in Britain, it never seems quite hot enough – this weekend was an exception. So I threw together a quick salad to take with us. This works fabulously well with a bit of lamb (I’d marinated some with cumin, coriander, thyme, sherry vinegar and olive oil). Here be the very loose recipe…. Chop up the water melon and cucumber (no melon baller required – what was that all about?). Remove any seeds from the watermelon, mine had very few. Slice up the spring onion. Place it all on a big platter/bowl. Crumble over the feta into smallish pieces, I never understand why people cut it into lego bricks and I now see that they sell crumbled feta! What is wrong with people? Crumble it yourself – it’s hardly rocket science. (Sorry for a mini-rant, but really?) Don’t stir otherwise the feta will collapse and make everything look milky. Rip over plenty of mint leaves, splash on some olive oil and then sprinkle with lots and lots of freshly ground black pepper (your feta should be salty and sour enough to do the rest). Toasted black sesame seeds make a great addition, as do kalamata olives, if you happen to have some. 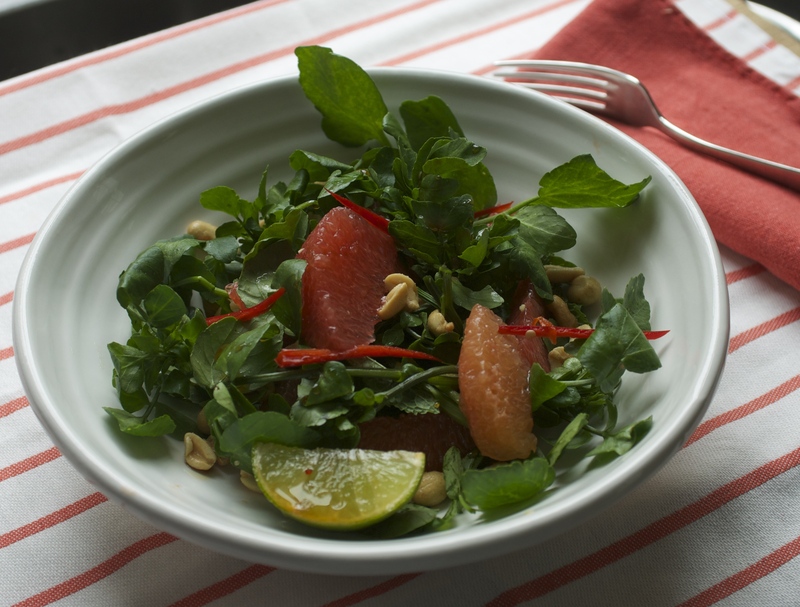 This is one of the very few salads that I love to eat chilled from the fridge – so very, very refreshing. Jo, of the magical garden (and house – you’ve seen nothing yet! ), and I are thinking of running some courses together in the future. Just plotting but I’ll keep you posted. Okay, it’s been a while and sadly I’m not about to regale you with fabulous tales of holidays and adventures that have filled my days. It’s just that Peter (the husband) is away in Antarctica for a few weeks and my life seems to be a hectic (read chaotic) combination of working all over the place at funny hours (a result of being freelance that I usually embrace) and farming Imi out to wonderfully supportive family, friends and neighbours (three cheers for “Spare Granny” Sasha) at both ends of the day. The amazingly bright autumn weather (not today – the S.A.D. lamp is definitely on), a few trips to The Bristol Lido to swim outside and some very special one-to-one time with Imi have thankfully made the chaos pretty wonderful too. I feel so blessed living in Bristol where I took these pictures just 5 minutes walk from the house. Last Sunday, the 1st of November, just felt like a bonus, an almost summery day, before we hit the colder weather – everyone was out (and I remembered that I really, really need a dog). One of my Autumn highlights has to be the day spent at Victoria Park Primary School, in Bristol, helping with their Healthy Schools Week. I was working with Ramona Andrews: a school Mum, food writer, social media guru, producer (she’s a talented lass) and we a ball (a tiring one, but oh so rewarding). 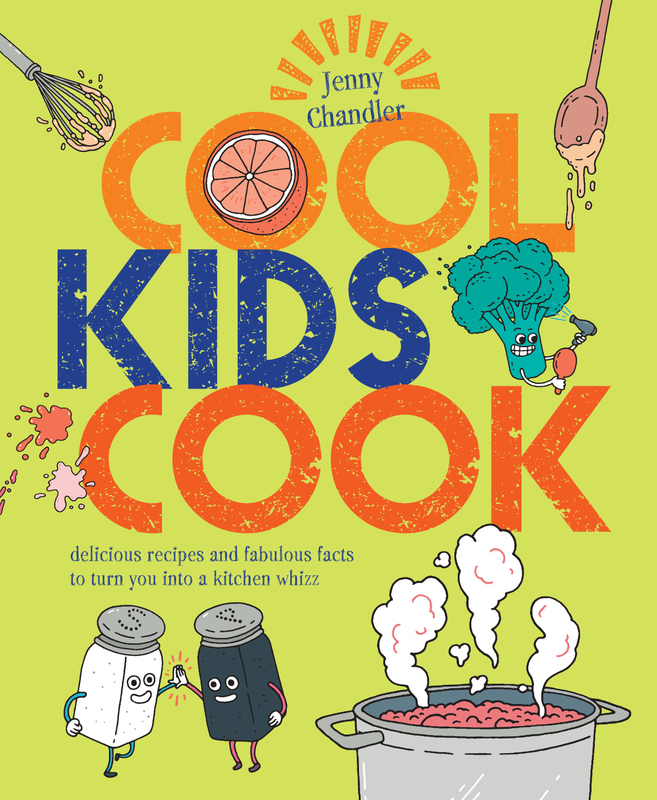 The idea was to get kids cooking, tasting and experimenting with simple recipes that happened to be healthy too, rather than the didactic approach. With over 30 kids at a time, in the school art room, it wasn’t going to be individual soufflés so we settled on flat breads and hummus. It was all about tasty, simple and accessible recipes that the kids would most likely eat too and with Halloween looming we thought we’d throw some roasted pumpkin into the hummus. The room was filled with great wafts of garlic, cumin, baking bread and lots of noise (good noise, enthusiastic, excited noise). One thing that I’ve learnt about cooking with children is that everyone wants, and needs, to be busy for every available second (I so, so appreciate you school teachers – it’s knackering). We had plenty of grating going on to keep everyone gainfully employed and made a massive bowl of salad. 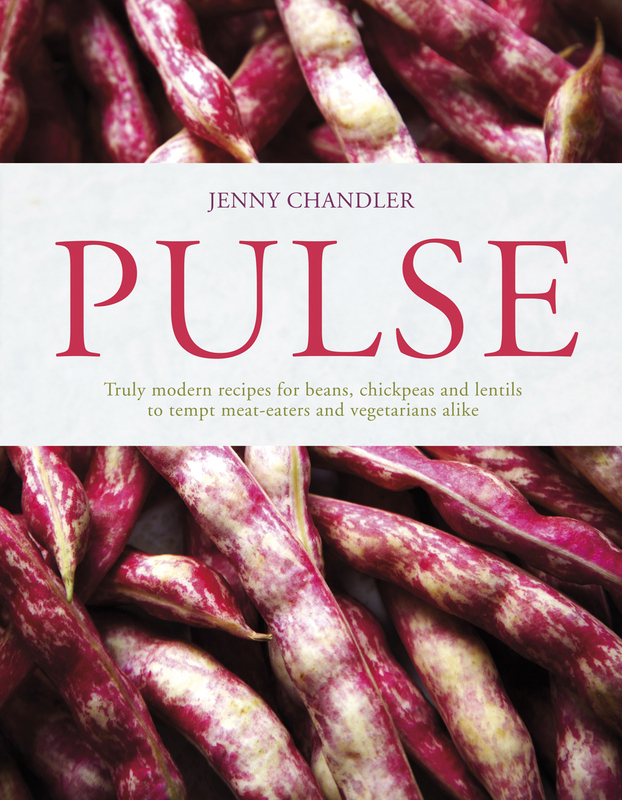 Radishes, beetroot, carrots, cucumber, apples, pears, seeds, herbs, lemon zest – it all went in, and of course there were a few doubters (some rather more vociferous than others) but pretty much everybody tried the end result and, best of all, most of them loved it. So here you have my recipes from the day and though I do admit to buying hummus sometimes, and pitta bread too, this reminded me how simple, cheap and adaptable they are to make. The children were amazed at how easy it is to prepare the basic flat breads with plenty of scope to play around sprinkling with different spices They’re ideal for baking with some eager little helpers but worth throwing some together for yourself too. 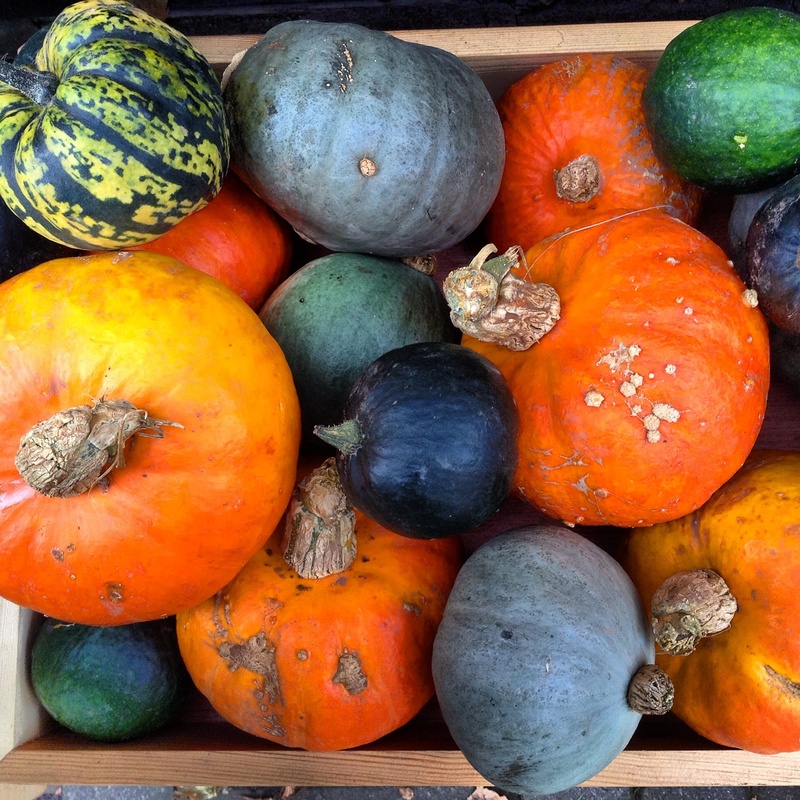 Halloween may be over, pumpkin fever a thing of the past, but there are plenty of squash around in the markets and shops to experiment with. The texture is fabulous in hummus and the slightly nutty, caramelised flavour works well with Middle Eastern spicing or you could try some rosemary instead. The children devoured this, one even suggested that it would be good for “dipping KFC chips in”! (you can’t win ’em all) but the best thing was the palpable excitement at eating something they’d prepared. Whizz up the the chickpeas in a food processor with the garlic, the juice of 1/2 the lemon and most of the cumin. Blend for a moment or two before adding the olive oil. If the hummus is very stiff you can add 1-2 tablespoons of water. Blend again until you have a nicely textured, rather than smooth, paste. Season with the black pepper. Have a taste and decide whether you want to add more lemon juice. Coriander or parsley are great stirred in at the last moment (no earlier or your hummus will look a murky khaki colour. Put the carrot or pumpkin pieces into a roasting tin and add the olive oil, tossing to coat the vegetables and sprinkling with a little salt. Roast in the oven for 30 minutes, or until they’re beginning to brown and caramelise. Add the vegetables (hot or cold, it doesn’t matter) to the food processor (or whizz with a stick blender), purée until smooth and then stir in the hummus. Tip: Try using other vegetables such as roasted peppers, onions or aubergines too. Just mix everything together in a large bowl, stirring with a wooden spoon. Divide the dough into 10 (easiest to chop in half and then cut the halves into 5 each- get the Maths going) Roll out until they are the thickness of a pound coin and bake in the hottest oven possible or cook on a ridged griddle until baked through..
Brush with oil and herbs ( try za’atar : sumac, sesame, tried thyme and salt) or garlic butter and eat straight away. You don’t need a recipe really but here are a few suggestions – a great moment to empty the veg’ basket and fruit bowl. It’s a fab’ way to introduce new flavours to kids, pile in plenty of the familiar and then just a little of something new. Fresh herbs such as parsley, mint, dill or coriander. Mix everything together ( it’s best to stir in beetroot at the very end or you will end up with a Barbie-pink salad – you may want to wear gloves whilst you are grating). Taste and season , then add nuts, seeds, herbs whatever you fancy.